At our farms we keep our ear close to the earth, listening and learning, working in rhythm with nature and creating a healthy and vibrant eco system. 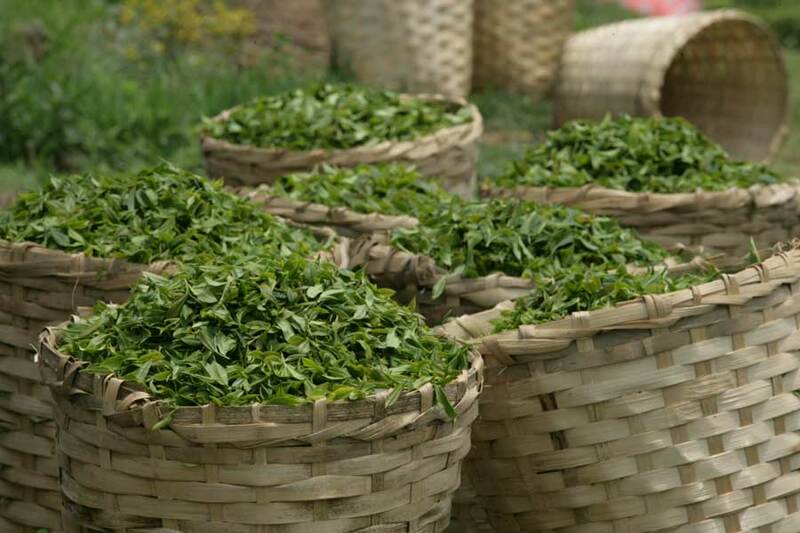 We follow the organic and the bio-dynamic method of agriculture which infuses the bushes with vitality and enhances the inherent quality of the leaf that makes the celebrated Darjeeling teas. Organic farming uses natural inputs to improve soil fertility through increased microbial activity; the little creatures work relentlessly to aerate the soil and make it conducive for prolific plant development. Compost prepared on the farms itself, nourishes the bushes and the thus strong bushes are fortified by pest repellents made from locally available herbs. Bio-diversity practiced at the estates makes for a balanced ecosystem. The natural method allows for better moisture retention and prevents soil erosion. A healthy soil makes for wholesome produce. Bio-dynamic farming is a holistic system of agriculture that aligns farm activity to the cosmic forces and works to harness positive energy through its processes. In the cold winter months the root system of the plants are more active. Therefore, cultivation activities central to the soil are more desirable. Compost is applied to enrich the soil as absorption of the nutrients by the soil is seen to be very effective. Planting operations too are undertaken in the winters for satisfactory results. With spring comes the warmth of the sun and the aerial parts of the plant are more energetic. This time of the year is used for foliar sprays as the plant intake through the leaves is heightened resulting in healthy, succulent leaf for harvest. Working with nature we seek to practice meaningful agriculture to grow a wholesome and environmentally sound produce. What do you mean by Biodynamic? The concept of Bio dynamic farming was developed by philosopher Dr.Rudolf Steiner in 1920 and his philosophy is called ‘Anthroposophy’. Biodynamic farming is aimed at creating a balanced and diverse ecosystem that generates health and vitality from within the farm. Preparations made from locally available herbs and fermented manure are used to grow crops that have better quality, flavour and improved nutrition. The influence of the cosmos is understood and the farming activities are aligned to harness the positive forces of nature. It is holistic agriculture that seeks to attain ecological, social and economic sustainability.